It’s time that all shoppers demand a happy, holiday-themed checkout like this Festive Christmas Cashwrap At Best Buy. 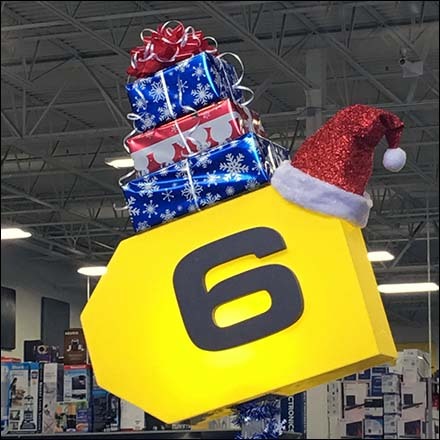 The subconscious suggestion of gift shopping at Best Buy is a wily psychological ploy by Best Buy’s visual merchandising staff. You might want to be a bit more direct and add a “Free Gift Wrapping” offer. This Festive Christmas Cashwrap At Best Buy seen in Wilkes-Barre, PA.